Would you trust the wellbeing of your gears to inferior gear lube? Of course not! You’ve come to Summit Racing for proven gear oil and transmission oil formulated just for your high performance vehicle. And we deliver with gear lube from the most trusted names around—Red Line, Lucas Oil, Royal Purple, Driven Racing Oil, Klotz, Castrol, Brad Penn, and more! 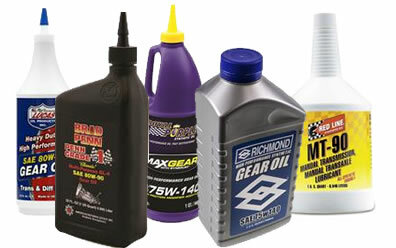 Our selection includes synthetic gear lubes proven to protect your gears, reduce gear temperatures, minimize gear noise, and enhance the overall performance of your differential. We even have gear lubes designed specifically for limited-slip diffs! Get top-brand gear lube from Summit Racing today!